Page of "True Achieving in Karate". It is often said that there is a fine line between failure and success, especially so in business. As far as achieving worthwhile goals go I’m not quite so sure, especially so when it comes to aiming for the benefits inherent in studying the Martial Arts. Without question two of the best attributes that one can have in life are positivity and patience, as anything of worth will not only take time to achieve, it will also take hard work and an unwavering determination or mindset. The mind required for studying true Budo for sure. What is most noticeable within the Martial Arts of today though compared to years gone by is students lack of patience at times, or there is to much thought on passing gradings instead of setting standards that are centred around ones own personal development and achieving things of worth. 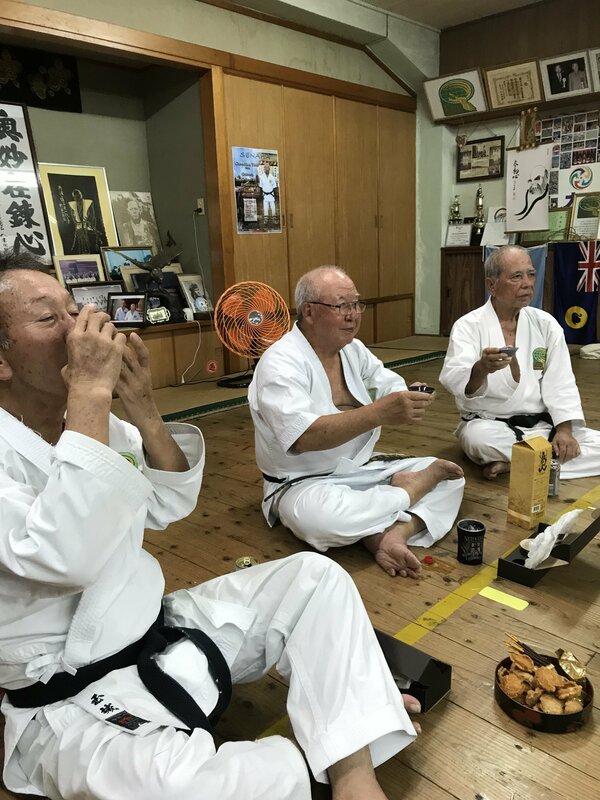 So often we see Karate Ka who have achieved either a Black Belt, a high Dan grade, or even having trained for many years. However, either their physical ability or Karate basis lacks understanding, to the point that all that they have achieved is pretty much worthless, even if ones effort is honourable. There is just so much more to be gained through quality study if one thinks a little deeper. Remember this… “Training regular in Karate without setting out a smart training plan will only return a small percentage of the benefits you could achieve by training hard and smart at the same time”. Patience; good things take time to achieve. A reminder is the story of the Chinese Bamboo tree that takes five years to grow, and when the people of China go through the process of growing it. They have to water and fertilise the ground where it is every day, and it doesn’t break through the ground until the fifth year. But, once it breaks through the ground, within five weeks it grows ninety feet tall. With the question being does it grow ninety feet tall in five weeks or is it five years? The answer of course is five years! Because at any time had that person stopped watering and nurturing that dream of achievement, then the Bamboo tree would die in the ground. Your study of true Karate should mirror this.